ORCHESTRE ABASS De Bassari Togo vinyl at Juno Records. Even by the consistently high standards of Analog Africa, this release is something special. 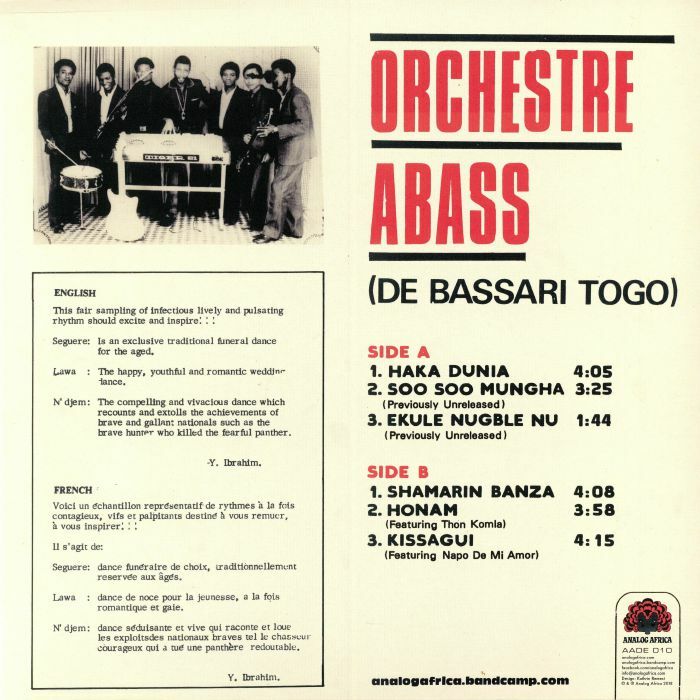 It consists entirely of previously unheard music by Orchestre Abass, an obscure outfit from Togo who released a handful of singles on Polydor Ghana in the early 1970s. 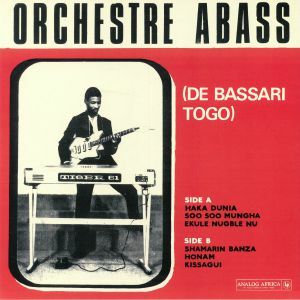 Remarkably, all bar one of the tracks on "De Bassari Togo" were found on a long forgotten reel of tape that had sat on a shelf in a Ghanaian warehouse for the best part of 35 years. That was ten years ago; it's taken that long to track down the remaining members of the band and license the material. In truth, the tracks have aged exceptionally well, with the band's infectious, organ-led sound adding distinct Arabic influences (a result of the band members' time spent studying in Islamic schools) to their heavy funk rhythms and riotous Afro-funk vibes.